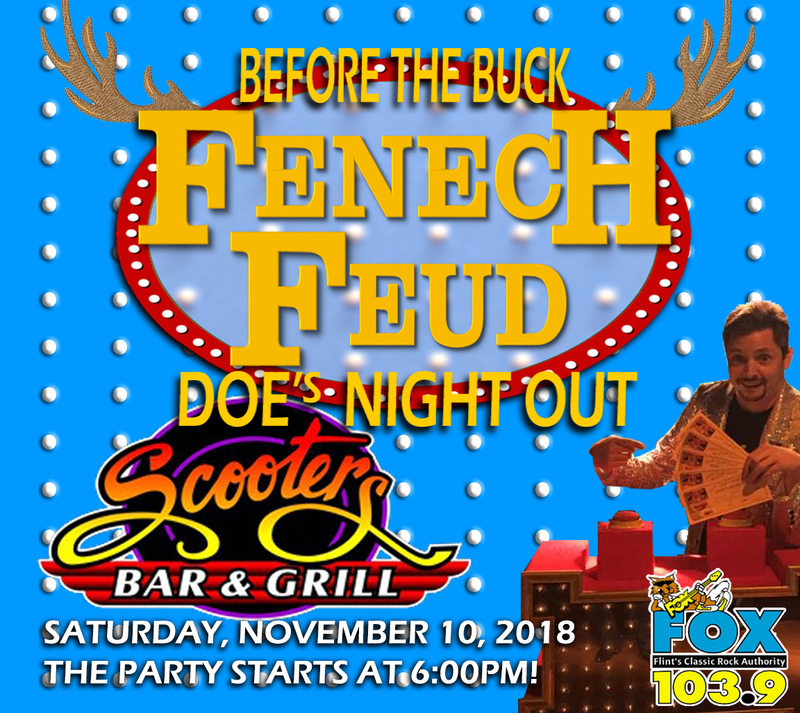 Considering that the Fenech Feud Phenomenon launched right across the street at was once called Maxie’s, we are pleased to set up shop for a couple of games at Scooters Bar & Grill in Mundy Township! 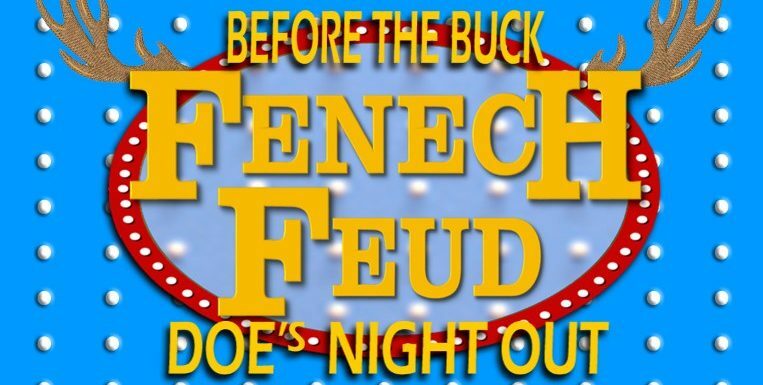 It’s all part of the Before The Buck Ladies Night Out Party on November 10th starting at 6pm. Not only will Jeremy be hosting his adults-only version of a classic game, he’ll take over as house DJ for the night following the show! 103.9 The Fox will be there as Lisa Marie broadcasts live from 6pm to 8pm! Ladies, come out for a night of fun and laughs at Scooters! We’ll see you November 10th!